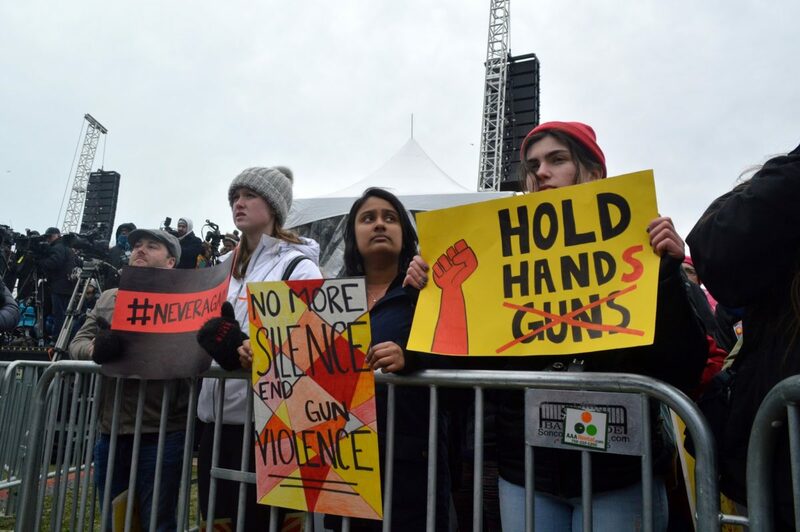 Loyola first-year students Maggie O’Shea and Elisabetta Fanous united with more than 85,000 others in Union Park Saturday to raise awareness about gun violence around the country. O’Shea and Fanous, along with several speakers at the event, highlighted the prevalence of gun violence specifically in Chicago. “This is a large city, there’s a lot of schools, a lot of kids and we need to protect them,” Fanous, a nursing major, said. 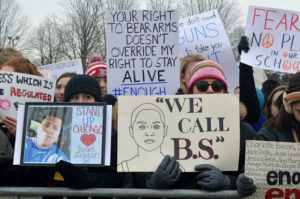 Protesters packed into Union Park for Chicago’s branch of the March for Our Lives protest to call on legislators to pass stricter gun control laws in the wake of the Parkland, Florida high school shooting which left 17 people dead. The March for Our Lives in Washington, D.C. drew a crowd of more than 850,000 with more than 800 similar rallies taking place around the world. Since the Parkland shooting, there have been 20 mass shootings, defined as four or more people shot or killed, in the United States, according to the Gun Violence Archive. The Chicago event began with a series of student speakers followed by poetry, music and dance performances. Following the rally, protesters marched through the surrounding neighborhood. Some trailed off while others returned to Union Park, as scheduled by organizers. Most student speakers shared personal gun violence experiences, railed against the disproportionate rate of gun deaths against people of color on the South and West Sides of Chicago and preached the importance of allocating resources toward minority communities. “The gun violence in Chicago that is happening daily is happening in impoverished black and brown communities,” McQueen said in her speech. 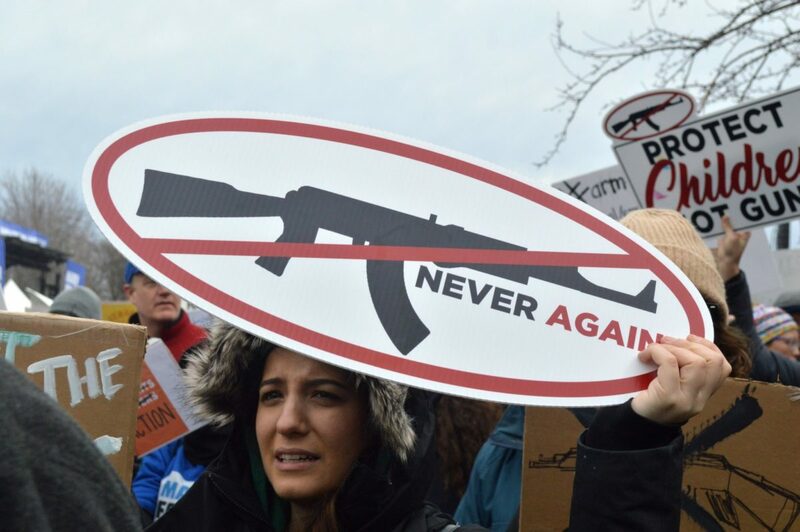 According to the Gun Violence Archive, there have been more than 3,300 gun-related deaths nationwide this year as of March 27. McQueen’s teacher, Nancy Zook, stood in the front row to support her student. Zook said McQueen has been working against gun violence for a long time and deserved a platform like this. 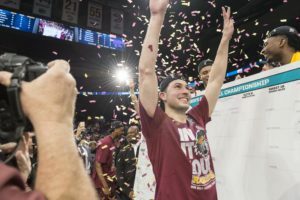 “Chyann has worked really hard and fought for a very long time, going out and demonstrating and talking to try and deal with the violence that she experiences and that all of our students experience,” Zook said. Caitlyn Smith, at just 12 years old, was one of many who called on the crowd to vote for politicians who advocate for gun reform. 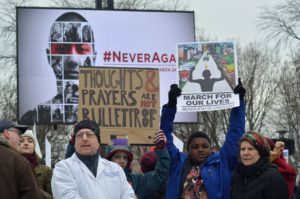 Chants of “Vote them out” echoed in the crowd periodically throughout the rally, referring to politicians who accept money from the National Rifle Association (NRA) and oppose gun reform legislation. Smith, whose brother suffered extreme brain trauma after being shot at 16, reminded everyone, including those politicians, that she, too, will soon be able to vote. Kids off the Block, a nonprofit group involved in organizing the march, advocates for children’s education and safety. Founder Diane Latiker, 61, said she started the program 15 years ago when she wanted to do something about the gun violence in her neighborhood. 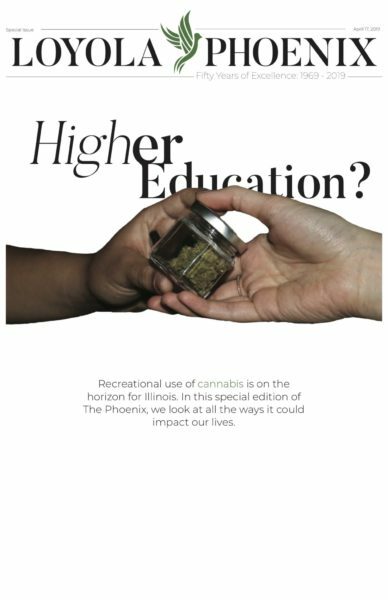 Since then, Latiker said 3,000 people have been impacted since its beginning. Following the speakers, performances centered around the topic of gun violence took the stage. The Hinsdale Central High School poetry team performed a chilling piece entitled “Trigger Warning” and Jalen Kobayashi, a student from another school, read his poem “The Zoo” to the crowd. For some protesters, the cause was personal. Helene Duta, 34, was a student at Northern Illinois University (NIU) in 2008 when a shooter opened fire. In this instance, five students were killed and 17 were injured. Duta said she knew one of the victims. “After a shooting, your sense of security is just blasted,” Duta said. 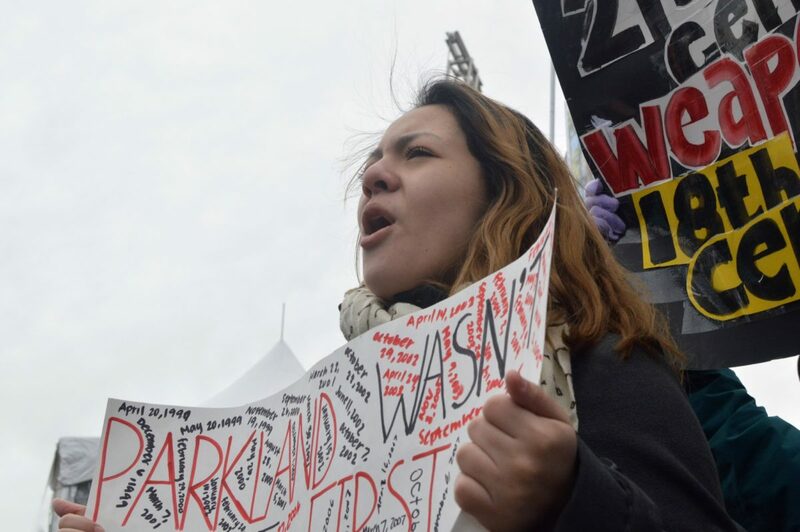 Duta, now a teacher at Waukegan High School, said the Parkland students must be going through a hard time, but their fight remains the most important product of the shooting. Duta said the aftermath of a tragedy is unlike anything else. Similar to the speakers, the crowd was filled with students looking for a change in gun policy. Rachel Patris, 18, said the conversation about gun reform often stops too soon after a tragedy. 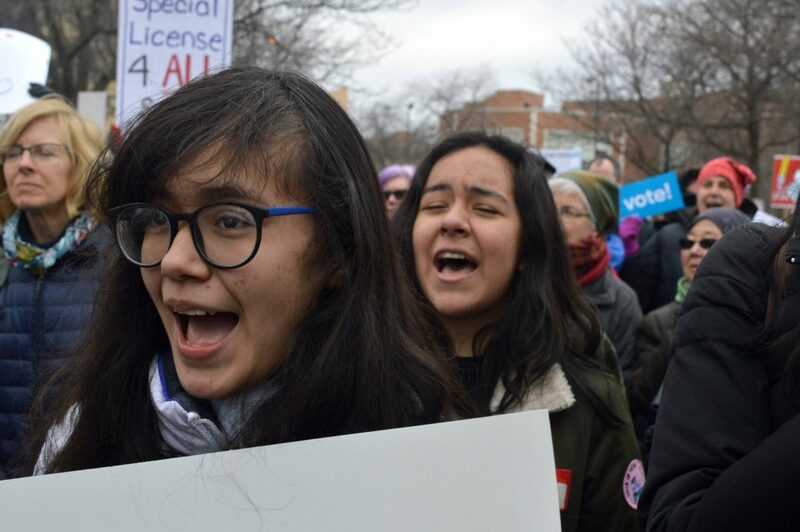 Olivia Berry, 15, said she saw the power of protesting when her school, Naperville North High School, joined hundreds of others March 14 in walking out against gun violence, which motivated her to march in Chicago. “[The walkout] really inspired me to see so many kids coming out and supporting gun control laws and I wanted to show my support, too,” Berry said. Additional reporting by Alanna Demetrius.